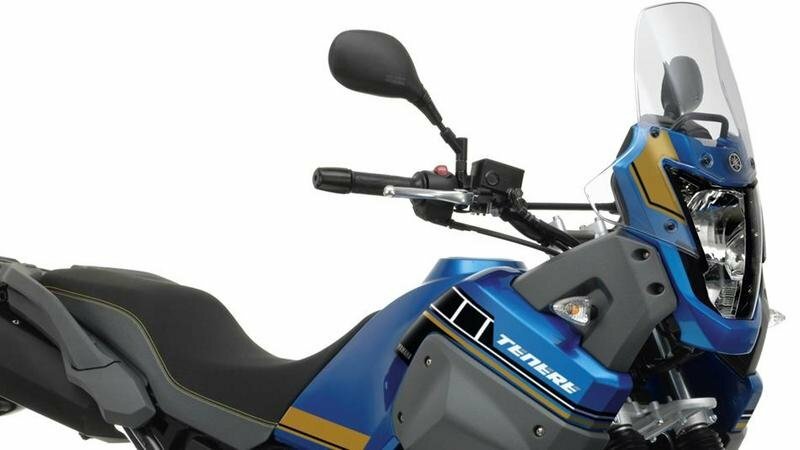 The Yamaha XT660Z Tenere is aimed at those who put versatility and reliability on top of their priorities list. 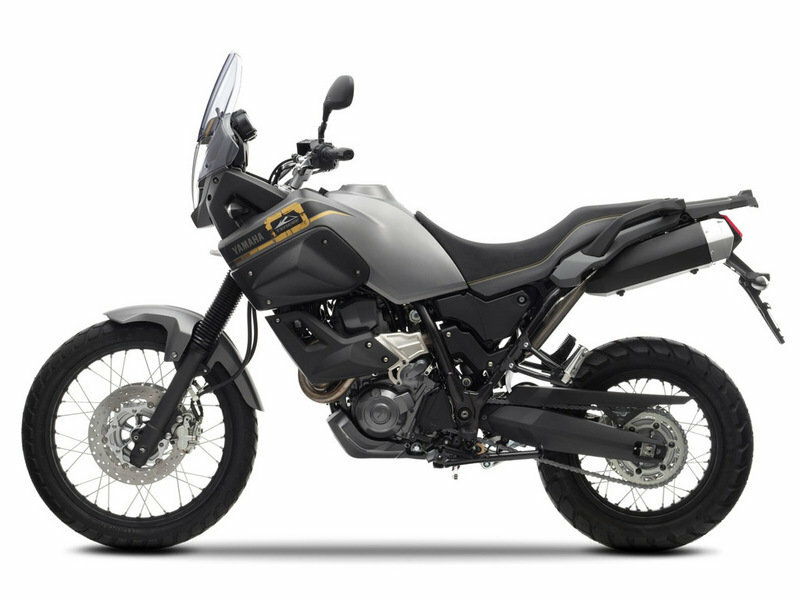 Thanks to its ergonomic design, long travel suspension and capable engine, the motorcycle is able to conquer the savages terrains of Africa, but is also able to offer an enjoying ride on the highway. 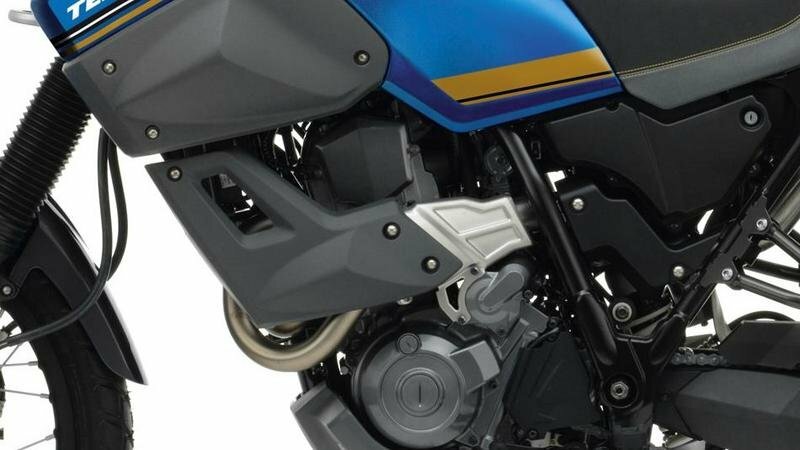 Power comes from a 660 cc, single cylinder, liquid-cooled, 4-stroke, SOHC, 4-valves, EFI engine which puts out a maximum output of 35.0 KW (47.6PS) at 6,000 rpm and a peak torque of 58.0 Nm (5.92 Kg-M) at 5,500 rpm. 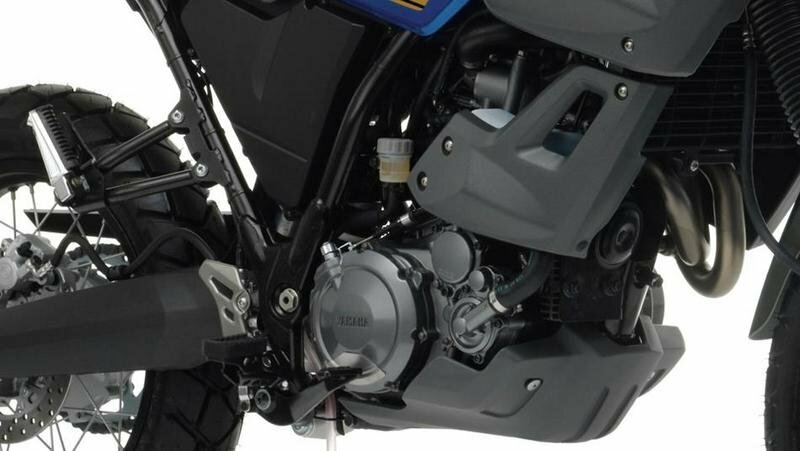 All this power is kept under control by a constant mesh, five speed transmission with wet, multiple-disc clutch. The unit is fueled by a large 23 liter fuel tank. 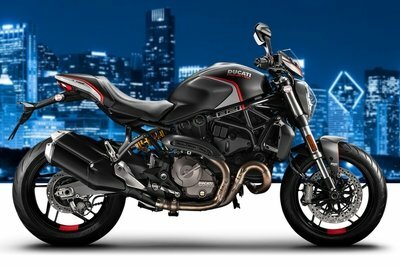 The motorcycle is available in Yamaha Blue and Matt Grey colours and I priced at €8.494. 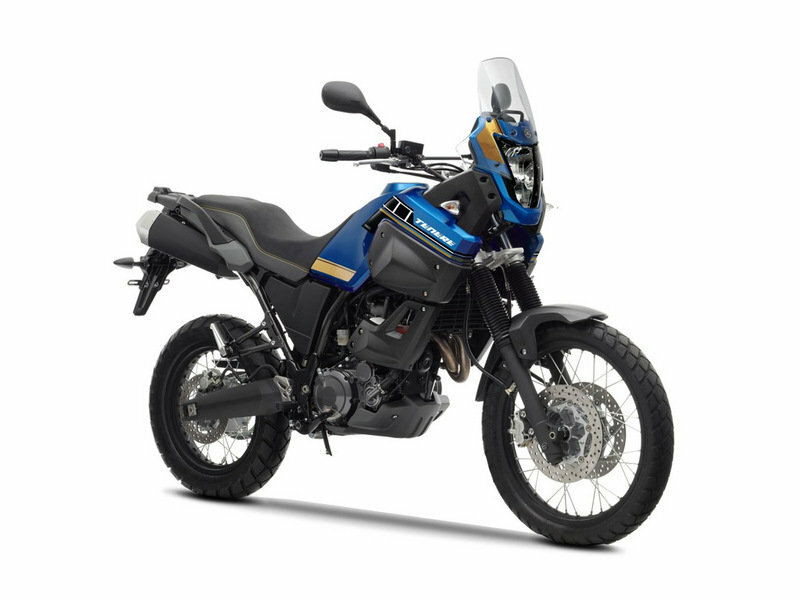 Hit the jump for more information on the Yamaha XT660Z Tenere. 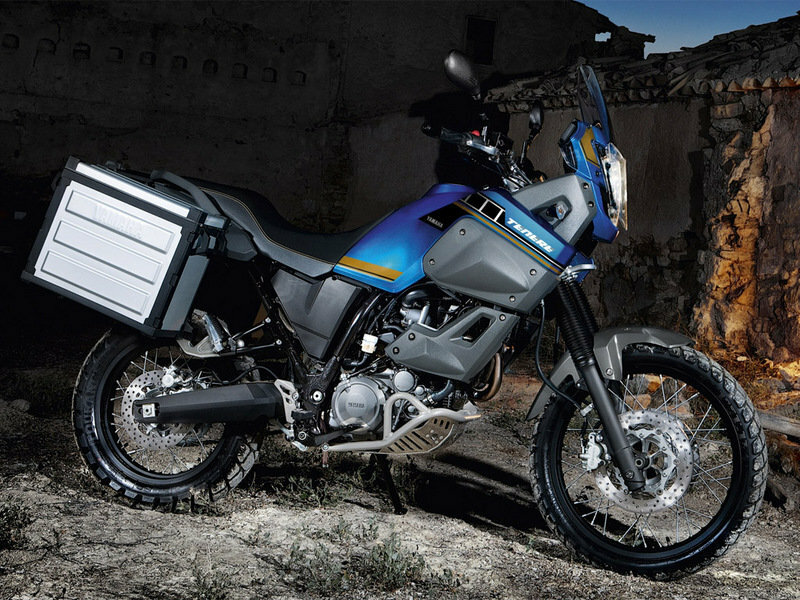 Prepare for adventure with the XT660Z Ténéré – a rugged, functional and stylish dual-purpose bike. It will take you anywhere you desire – from Europe’s streets and highways through to the dust and rocks of deepest Africa. 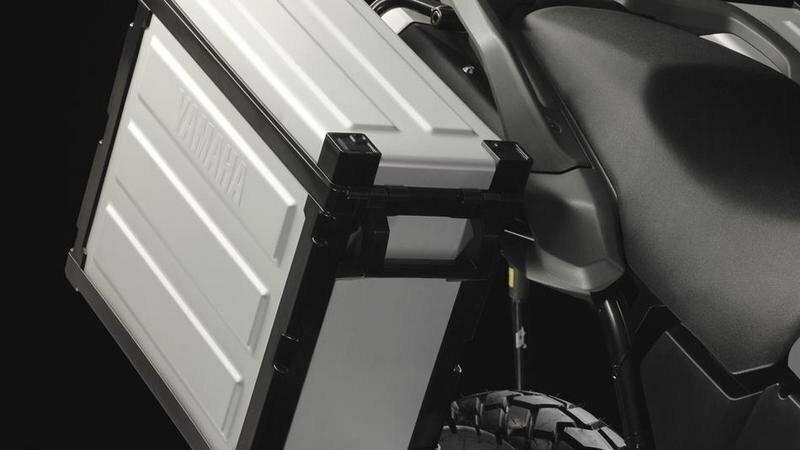 While its 23-litre fuel tank delivers a good range, the comfortable dual seat, wind-beating rally-raid style nose cowl and high screen take the strain on longer journeys. At the heart of this tough intercontinental explorer is a liquid-cooled, 4-stroke, 4-valve, single-cylinder, SOHC engine that produces plenty of power across a wide rpm range. 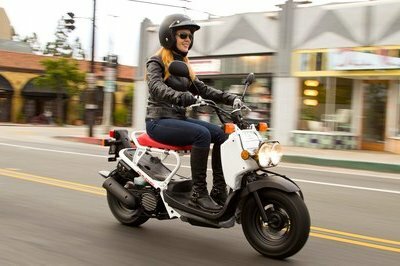 You can seek out the big adventures as this engine allows you to master almost every riding situation. This adventure machine earned its legendary status in some of the toughest races on the planet - most famously, the gruelling Paris-Dakar rally. 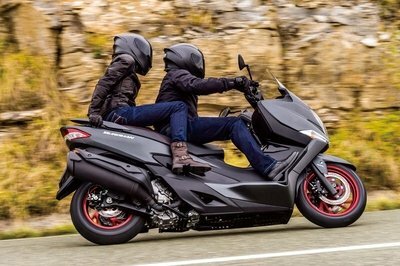 The bike possesses all the power and the poise needed to blaze trails all day long, and the reliability demanded by true two-wheeled adventurers. 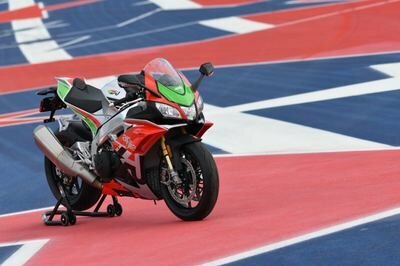 It’s a totally dual-purpose motorcycle with rider-friendly torque, long-travel suspension, aluminium swingarm (for reduced unsprung weight and better handling) and low 206 kg weight for an all-round better ride, whether you’re tarmac cruising or off-road exploring. Equipped with a 23 litre fuel tank, this machine delivers an excellent range. 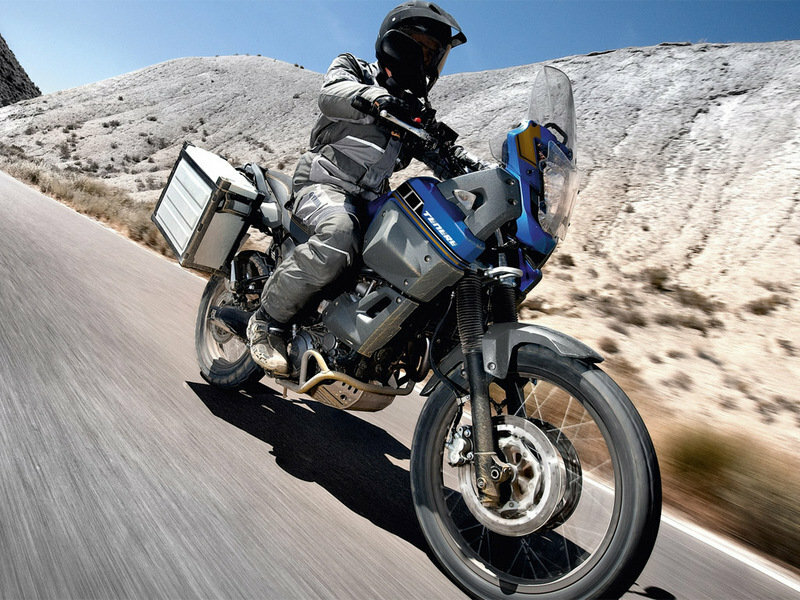 With ultra-comfortable dual seat and wind-beating rally-raid style nose cowl and high screen, the bike will take the strain on your long journeys. 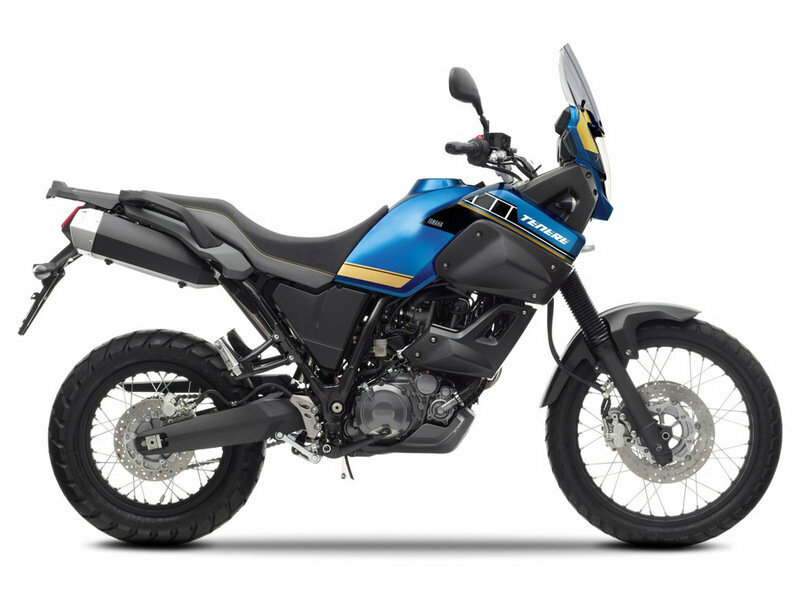 Engineered to be tough and resilient, the XT660Z Ténéré is built to conquer all challenges. Equipped with impact protectors, you can confidently challenge the unknown. The steel tube diamond-shaped chassis protects the engine so you can dominate the roughest terrain without fear. With an exceptionally wide range of high-quality accessories available especially for this model, it’s easy to adapt the bike to suit your individual needs. Further enhance the specifications in preparation for your big adventure, whether it’s extra luggage capacity or additional protection for you.